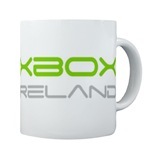 Posts categorized "Xbox Ireland (website)"
After sometime with no updates, XboxIreland.com is set to re-launch next Wednesday, July 19. Jason Powell, the England-based site owner, told us that “xboxireland.com is coming back bigger and better then ever before”. XboxIreland.com has launched, it is “backed” by games publishers Microsoft, UbiSoft, Activision, Sega, Eletronic Arts, and Codemaster. Games Toaster has identified least one person listed as a ‘staff writer’ as being an employ of an Irish marketing company who works for Xbox manufacture Microsoft. The site is billed as an ‘Irish Xbox community site’. A post on Boards.ie says because of their publisher backing, they will “have great competitions and tournaments, as well as insider news and reviews”. The poster ‘XboxIreland’ states, “Also, news updates throughout the day from a uniquely irish (sic) perspective”. A banner ad for the Irish GameStop outlets is featured on the site. The domain name was registered in September to ‘Xbox Ireland’, under the name Mark Scully, registered with an address of Dungannon, Northern Ireland. Listed on the site’s staff page is Mark Scully, Armagh, Ireland, and Jonathan Bucktrout, Leeds, England as ‘management’; Cian O'Mahony, Cork, Ireland – Editor; Mike Cass, England - staff writer; and Gamecon organisers Jermain Williams and Travis Mack, both in Dublin and staff writers. Jermain Williams is ‘Interactive Creative Director’ at the Dublin based marketing company Dialogue.